As I listen to the pitches, I am always attracted to those pitches that provide a different experience to users or customers. A majority of the pitches are for products – I mean physical products with patents that need to be manufactured. But there is a growing number of what I will call as the “experience products” that have the sharks smelling blood and they all swoop in for the kill. My favorite shark is Mark Cuban. My son’s is Robert Herjavec. It was the I Want To Draw A Cat For You deal that really got me thinking about the experience economy. Steve, the founder sought a $10,000 investment for 25% of his company. His little jingle had the sharks swinging to his tune. “Hey there sharks, my name is Steve, I’ve got an offer that you won’t believe. For the little low price of just 10 grand, you get a quarter of my company, you understand. You go to my site, you describe the cat. It’s Different and it’s simple. This is such a different idea. Come on, I want to draw a cat for you. Who would think about something like this? But Steve did and people are buying it. It’s ultra simple, you describe the cat and he draws it for you. This is the hallmark of a good experience – different and simple. On Facebook, on Twitter, or any other site that you socialize on. And if you look at your Facebook wall, most people post about the experiences that they are having. That cool vacation, the dinner with friends, your kid’s concert, dogs playing, you running 4.3 miles. What are all these? Experiences and there is a whole economy out there trying to make it easy to capture and creatively share your experiences. Your cat died and you are feeling sad. Your boyfriend ditched you and you are miserable, or your kid just loves cats. All these are emotional reasons to get a personalized cat. And this is an emotional buy. Anytime it’s an emotional buy, you don’t care about price, or the value or the actual quality of the product. You just have to have it. It’s the cat that “YOU” described. Not something from a template in a stock photo website. Personalization is the sign that you care. You care for the person, you care enough to take the time to think about what the person wants and is custom made just for that request. No mass production here. Finally, it takes some courage. Think about gifting your grandma a personalized cat drawing. It’s scary, will she like it. What will others say? No one gives a gift like this. It takes courage to be different, to go against the flow, to defy convention and do what your heart feels like doing. So when you think about an experience gift think – is it different and simple? It is shareable? Is it emotional? It is personal? Am I afraid to give it? If the answer to the last question is yes, then it’s probably the right gift. Rugged Maniac was another Shark Tank deal that points to growing desire for great experiences. Rugged Maniac: is a 3.1 mile course with crazy obstacles followed by a day long festival of music, food and drinks. Participants are promised fire, mud, beer and glory. Imagine gifting someone a ticket to a mud race? Would you? 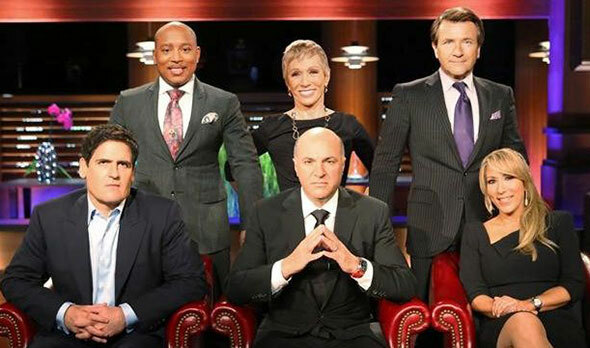 And one of the biggest deals on Shark Tank was Ten Thirty One Productions – an entertainment company that specializes in creating and producing live horror shows. Melissa Carbone asked for a whooping $2 million for 20% equity stake in her company. Can you guess who did the deal – Mark Cuban off course. If you watch Shark Tank, be on the look out for more experience related businesses and if you are thinking about a gift, why not think differently this time. Think experience. It’s magical. Want some amazing ideas for gifts. Sign up to receive some wonderful gift ideas. ← The Gift of Experience.